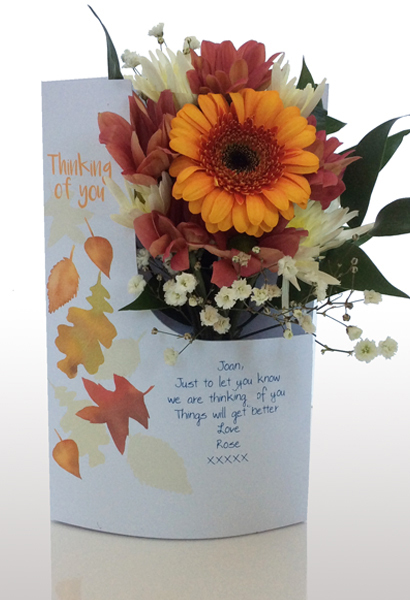 These richly coloured autumn leaves gently falling to the ground, is already a floralcard favourite. The warm earthy tones are offset by the gorgeous fresh flowers inside. The simple message ‘thinking of you’ makes this a suitable card for a range of occasions.